From zombies to Daleks, these nifty Easter eggs bring some interesting ideas to the holiday. 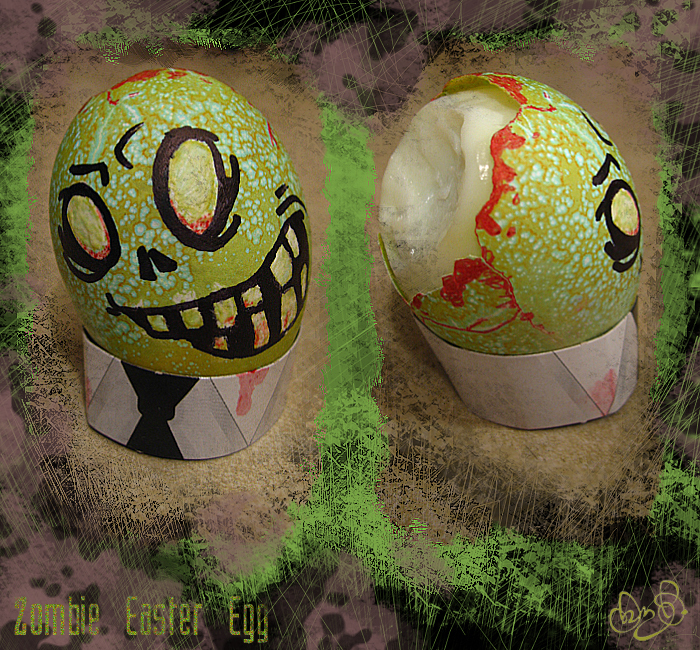 One of the best parts of Easter has to be turning boring old hard-boiled eggs into fantastic works of art, whether it's decorating them in all the colors of the rainbow or dressing them up to look like a zombie with a chunk of its yolky brains missing. The fine folks over at Blastr are a fan of the latter, and have gathered up a set of geek-themed Easter Eggs that certainly put any attempts I've made in the past to paint up my Easter eggs to shame. This selection of dressed up Easter eggs include a rather nifty looking Avengers/Justice League team-up, the cast of Battlestar Galactica, an adorable looking 11th Doctor (complete with bowtie), a sinister looking Xenomorph egg from Alien, a squad of heavily armed Stormtroopers (or is it egg troopers?) and the cast of Futurama (and Zoidberg) in egg form. You can check out the full gallery , and maybe get a few ideas for your own geek-themed Easter Eggs.